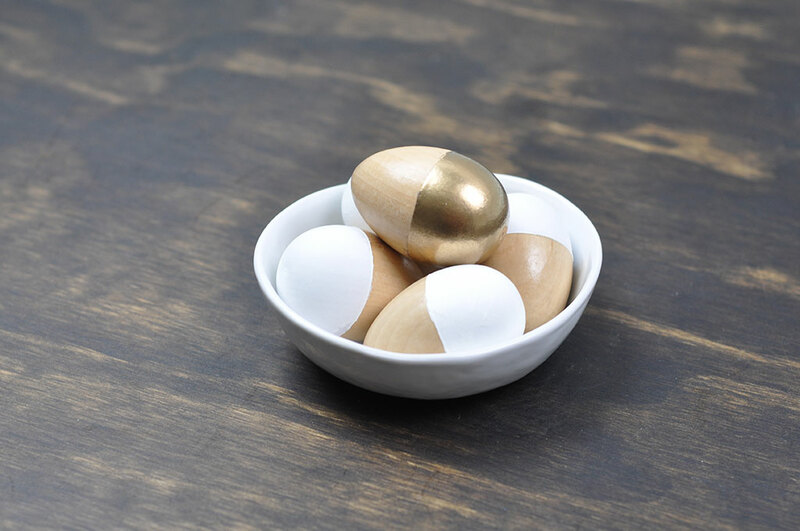 I want a golden egg…and I want it now! 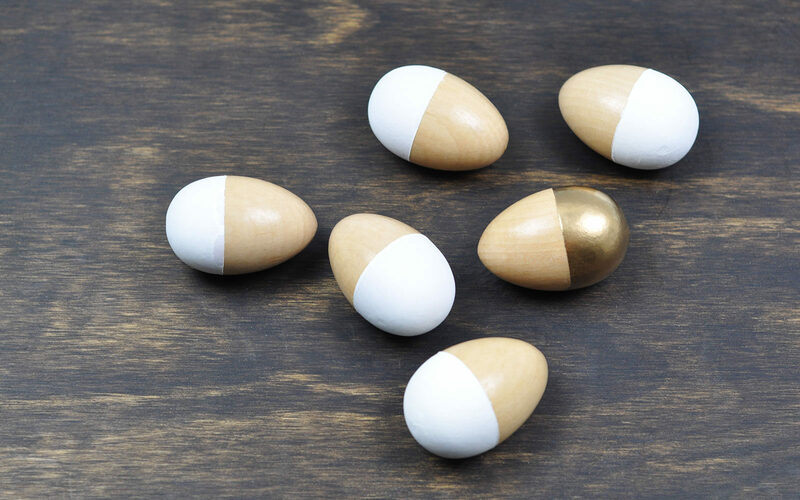 A few years back I bought some wooden eggs for a craft party I was hosting. 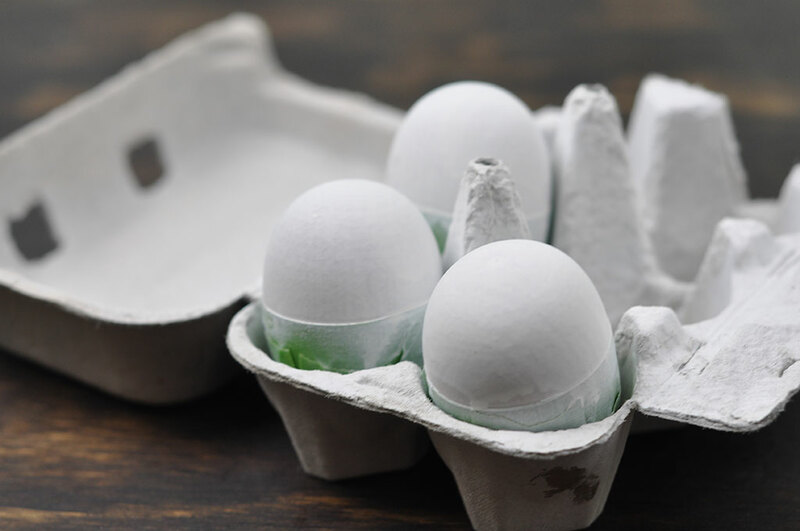 I bought a few more than I needed, so I was left with some unfinished eggs in my basket of craft materials. 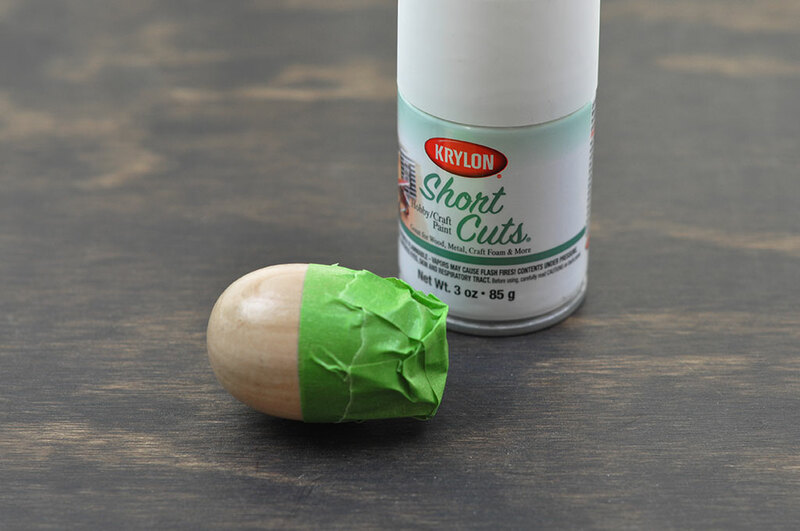 I brought them out this year, and decided to do a quick and easy DIY to help decorate for Easter. And yes, I’m majorly late on getting this post out…but better late than never! 15 min to prep, and a day or so for spray painting. 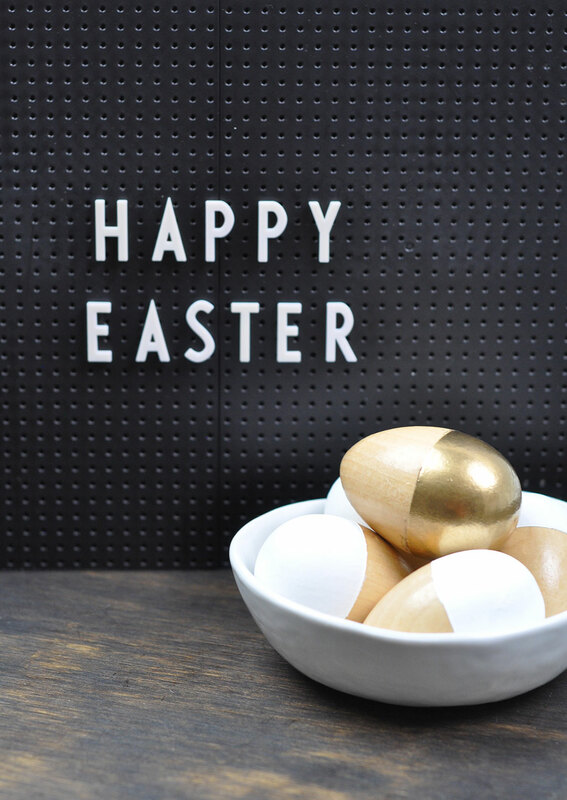 Take 1 piece of tape (approx 6″-7″ long) and wrap it around the center of each egg. Making sure the edges are smooth and tight. 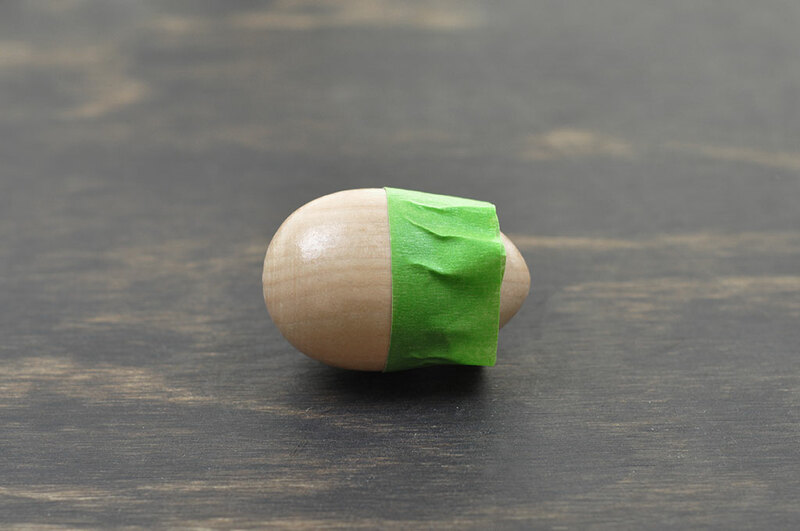 Take 3 pieces of tape (approx 3″ a piece) and cover up the remaining portion of the egg that isn’t taped off. 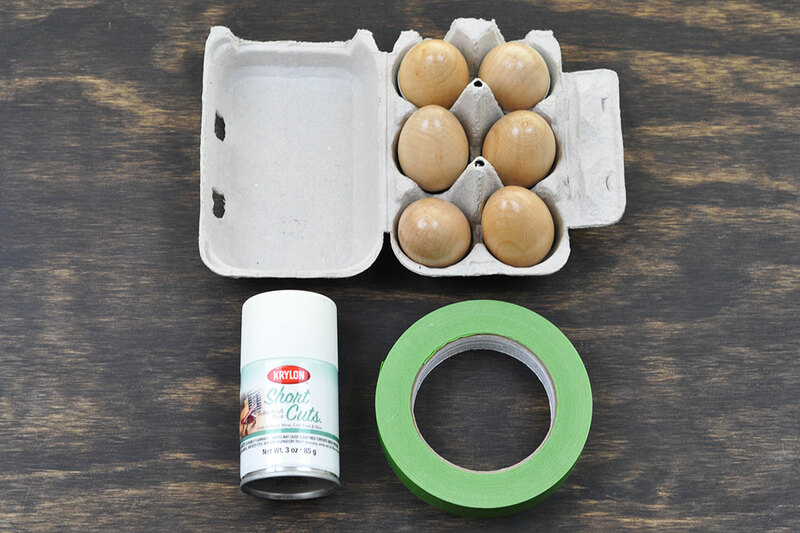 Place your eggs (tape side down) in the egg carton, and spray paint the eggs. I did 2-3 coats, letting it dry in between coats. 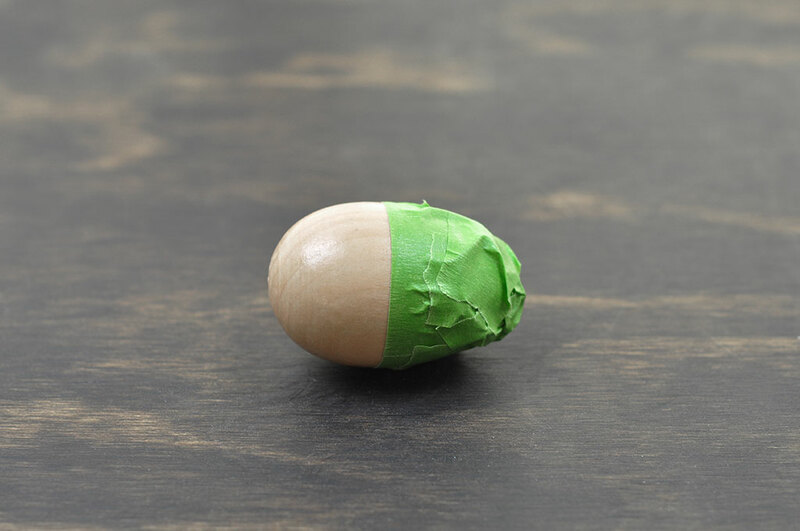 After they are fully dry, unwrap the tape. Display in a bowl or in a basket! Simple and clean…just the way I like them.